The compilation album is a collection of tracks from Backstreet Boys' first and second international albums, Backstreet Boys (1996) and Backstreet's Back (1997), respectively. Since the album and Backstreet's Back were released at the same time, both albums share the same cover, only with different titles. There were two editions of this album available. 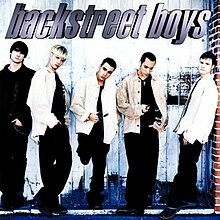 The original pressing contained 11 songs and did not include "Everybody (Backstreet's Back)". Presumably, this may have been due to the title of the song, which correlates with the title of the international album, Backstreet's Back. The title would not necessarily make sense in the context of this album being their American debut. The decision to make it a single in the US contributed to a re-release of the album in 1998, which contained 12 tracks, this time including an extended version of the song. There are also several differences between the songs from the international debut album: the second verse of "Quit Playing Games" was re-recorded to feature Nick Carter, replacing Brian Littrell's verse from the original version; "Everybody (Backstreet's Back)" was only featured in an extended mix, and a demo version of "As Long as You Love Me", using different instrumentation, arrangement and mixing, was included in place of the final version. The demo version was released as a single in the US and the final version was released in the 1998 pressing of the album and on The Hits – Chapter One. The original pressing of the album had a maroon spine and blue background on the back inlay. The second pressing of the album had a teal spine and a straw-colored background on the back inlay. Both versions of the album contained the same Enhanced Section, containing videos and other multimedia files. To promote the album the group appeared on Live with Regis and Kathie Lee, Sabrina the Teenage Witch, Saturday Night Live, MTV, The Rosie O'Donnell Show, and All That. Backstreet Boys debuted at number 29 on the US Billboard 200 the week of August 30, 1997 with 40,000 copies sold while solicitation for the album stood at 602,000 units following the group's success of their song, "Quit Playing Games (With My Heart)". After five months, on January 31, 1998, it reached and peaked at number four on the chart, when this happened the album had already sold two million copies in the United States. According to Nielsen SoundScan, it was the fifty-second best selling record of 1997 in the United States with 1,300,000 copies sold and the third best selling album of 1998 with 5,700,000 copies sold. The album was certified fourteen times platinum by the RIAA on April 5, 2001 denoting shipments of fourteen millions. As of March 2015, the album sold 11,687,000 copies in the US according to Nielsen Music. It sold additional 1.72 million units at the BMG Music Club as of February 2003. ^ "Discog". Backstreet Boys. Retrieved 2012-01-15. ^ "News - Articles - 1425277". Mtv.com. 1997-08-14. Retrieved 2012-01-15. ^ Erlewine, Stephen Thomas. "Backstreet Boys – Backstreet Boys". AllMusic. Retrieved September 22, 2018. ^ Christgau, Robert (2000). "Backstreet Boys: Backstreet Boys". Christgau's Consumer Guide: Albums of the '90s. St. Martin's Press. ISBN 0-312-24560-2. Retrieved September 22, 2018. ^ a b "American album certifications – Backstreet Boys – Backstreet Boys". Recording Industry Association of America. Retrieved 2017-09-22. ^ "Backstreet Boys [ENHANCED CD]: Backstreet Boys: Music". Amazon.com. Retrieved 2012-01-15. ^ Faison, Datu (August 30, 1997). "Rhythm Section". Billboard. 109 (35): 22. ISSN 0006-2510. Retrieved September 21, 2017. ^ Newman, Melinda (January 31, 1998). "The Beat". Billboard. 110 (5): 14. ISSN 0006-2510. Retrieved September 21, 2017. ^ a b "Backstreet Boys Chart History (Billboard 200)". Billboard. Retrieved June 10, 2017. ^ "Best Selling Records of 1997". Billboard. 110 (5): 76. January 31, 1998. ISSN 0006-2510. Retrieved September 21, 2017. ^ "Best Selling Records of 1998". Billboard. 111 (5): 75. January 30, 1999. ISSN 0006-2510. Retrieved September 21, 2017. ^ a b Peoples, Glenn (March 26, 2015). "Why Zayn Malik's Departure From One Direction Won't Hurt Band's Music Sales". Billboard. Retrieved September 21, 2017. ^ a b David, Barry (February 18, 2003). "Shania, Backstreet, Britney, Eminem And Janet Top All Time Sellers". Music Industry News Network. Archived from the original on 2009-09-03. Retrieved 2017-10-01. ^ "Greatest of All Time Billboard 200 Albums". Billboard. Retrieved June 20, 2018. ^ "American album certifications – Backstreet Boys – Backstreet Boys". Recording Industry Association of America. Retrieved September 21, 2017. If necessary, click Advanced, then click Format, then select Album, then click SEARCH. ^ As of March 2015, the album has sold 11,687,000 copies in the US according to Nielsen SoundScan, which does not count albums sold through clubs like the BMG Music Club, where it sold 1.72 million units. Combined, it has sold over 13,407,000 copies in the United States. This page was last edited on 17 April 2019, at 00:49 (UTC).